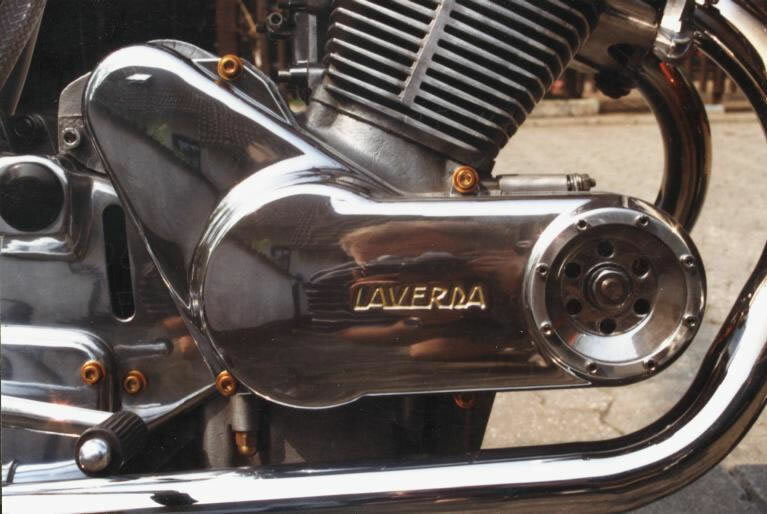 Do you own an extraordinary or grazy modificated Laverda? Give us your picture with a short description! 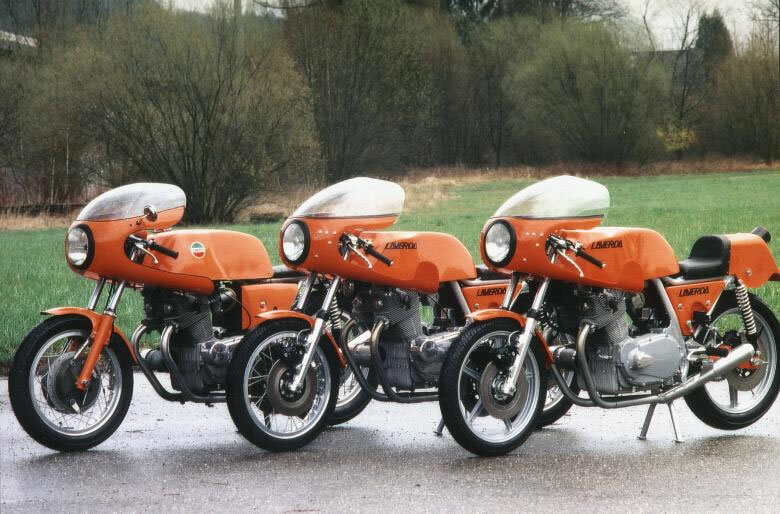 This three bikes’ owner has heaven on earth already .. 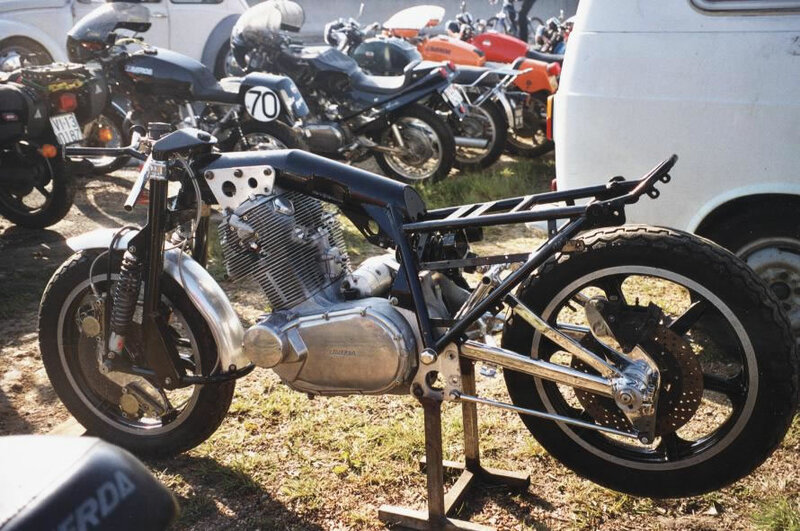 Swing arm, fork, seat are from a Yamaha, the original tank has been extended backward. Anything goes ..
Like Choppers or not, this shows a lot of careful attention. 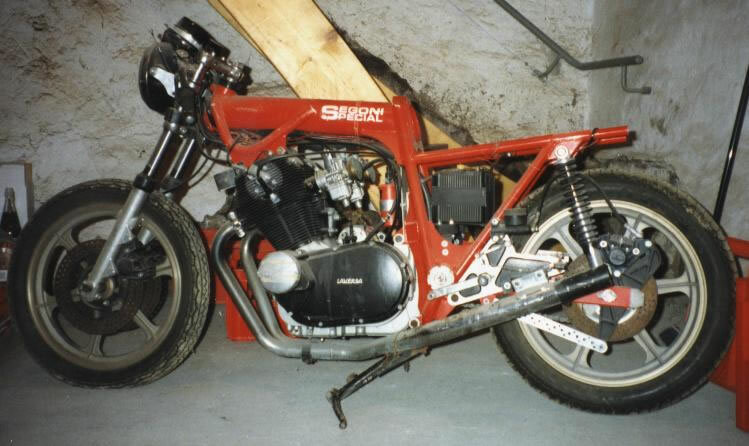 A SF2 converted into SFC with Ducati varnishing. Great job! 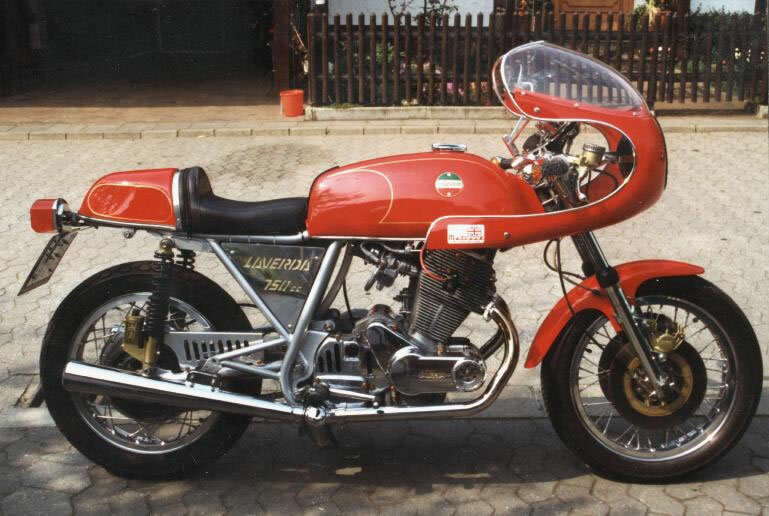 Nice thing, such a bit of Guzzi fairing! 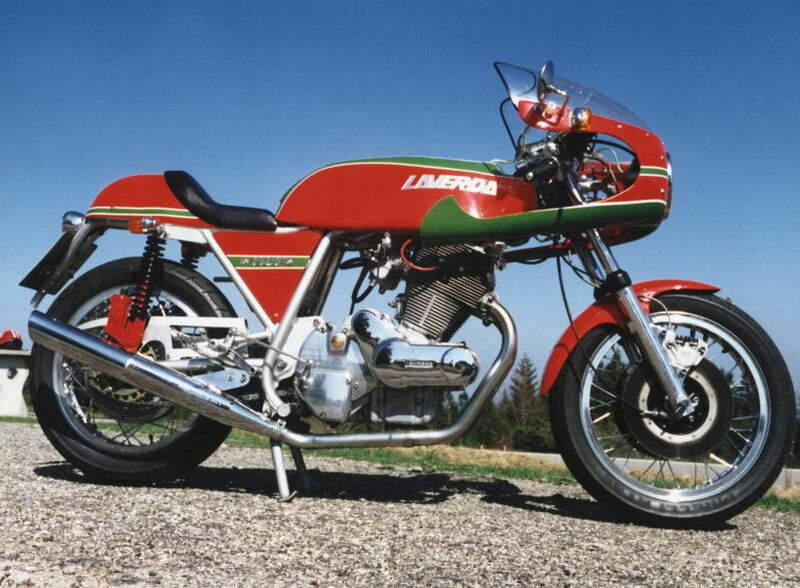 This Laverda with Segoni chassis was found in an Italian basement. 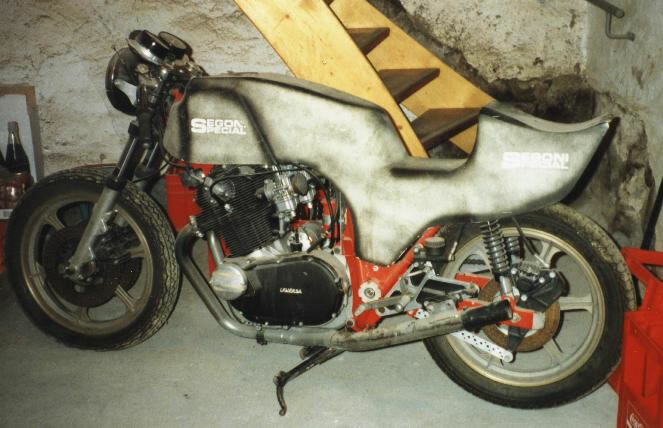 Should be some work before it runs. 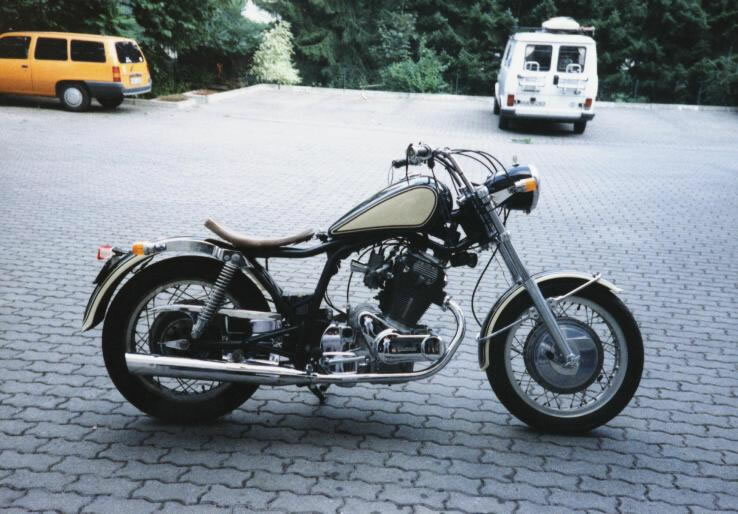 The second picture shows the machine with the monochoke. Some don’t want to believe it – others just love it. 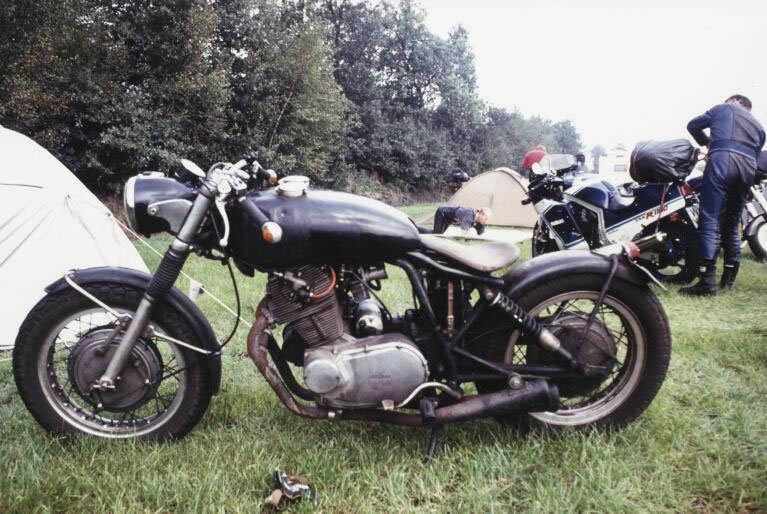 Everybody should ride whatever they like! 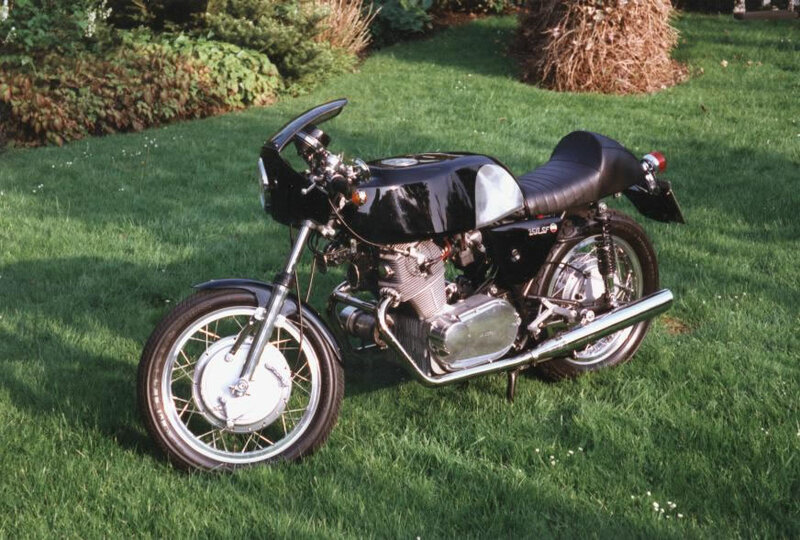 The partial fairing is from Metisse / GB, the seat from a 900 SS Ducati plus lovingly created details like the window that shows the alternator’s pulley. I don’t really like the frame or the car alternator. 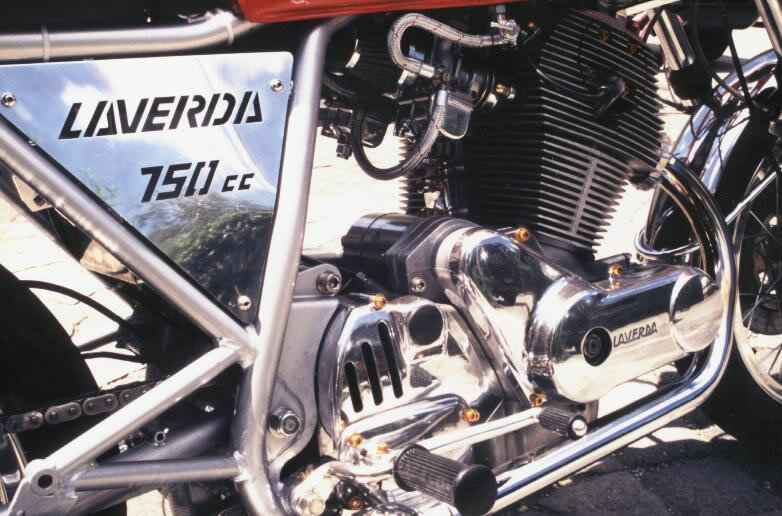 The complete frame has been built by an English guy. 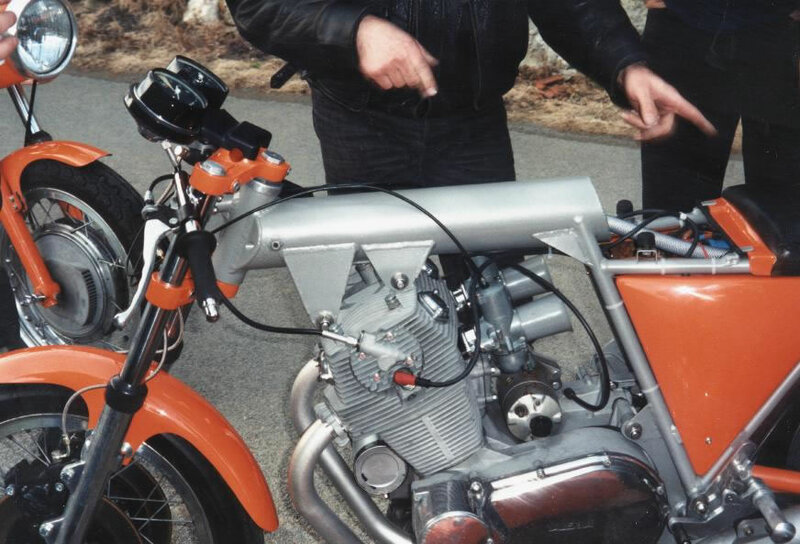 He presented the semi-finished bike. Not an easy one, respect! 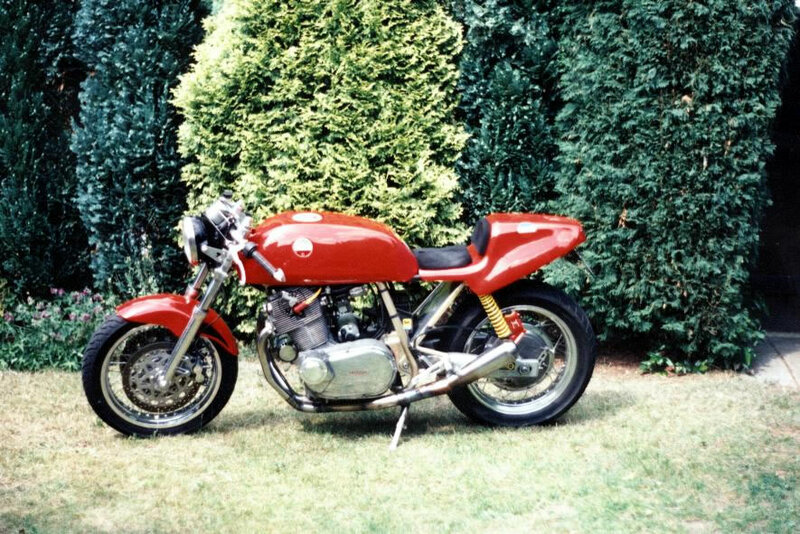 As far as I know this central tube frame has also been built by a private enthusiast in 1997. 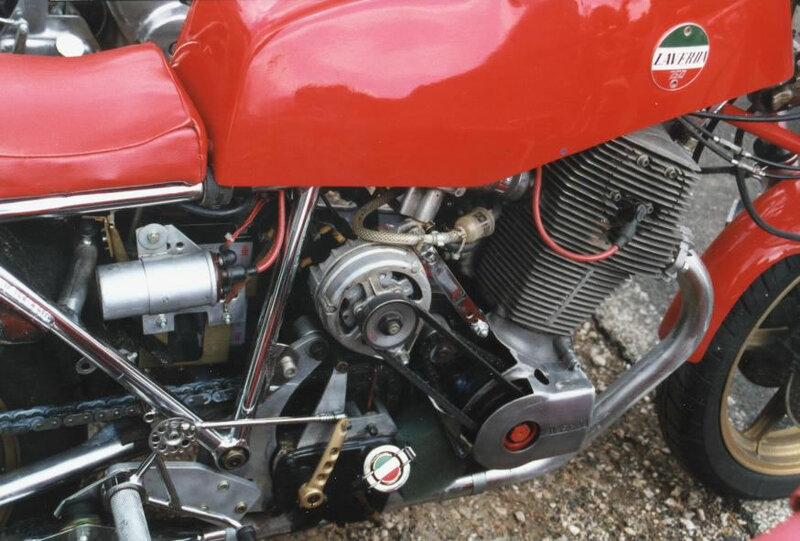 The engine is even assembled with the rare 36 mm Amal carburetors.